Special Offer Full berth/seat is being allotted to children between the age of 05 to 11 years. Hence, Full Adult Fare as per revised Railway guidelines. IRCTC proudly announces Rail Tour package to Mussoorie, a hill station located a t a distance of 35 kms from Dehradun. This hill station is situated in the foothills of the Garhwal Himalayan Region. 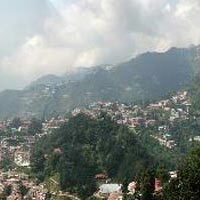 The tour comprises of two nights comfortable stay at Mussoorie covering the sightseeing of Kempty fall, company garden. Explore the beauty of the mountains and nature along with IRCTC. Mussoorie Comfort Country Inn & Suites Mussoorie or similarFull berth/seat is being allotted to children between the age of 05 to 11 years. Hence, Full Adult Fare as per revised Railway guidelines. The above package price is as on date of booking. However, in case of increase in input costs such as railway fare or any other expenses beyond the control of IRCTC, the guests are liable to pay the additional amount before commencement of journey.Any portage, hotel tips, insurance, mineral water, telephone charges, laundry and all items of personal nature. Board 12017 DDN Shatabdi Express from NDLS at 0645 hrs. Arrival Dehradun Railway Station at 1245 hrs. Transfer to Mussoorie in Non AC Vehicle. Check In followed by lunch. Evening at leisure. Overnight at hotel in Mussoorie. After breakfast, half day sightseeing tour to Company Gardens and Kempty Fall. (Entrances to be paid directly by guests). Return to hotel by evening. Evening at leisure. Dinner and overnight stay at hotel in Mussoorie. Breakfast at hotel. Check Out at 1100 hrs. Drive to Dehradun, visiting Buddha Temple, Shiva Temple and MDDA Park, Rajpur enroute. Lunch at restaurant in Dehradun on Direct Payment by guests. Drop at Dehradun Railway Station by 1600 hrs to board 12018 DDN - NDLS Shatabdi Express at 1700 hrs. Any portage, hotel tips, insurance, mineral water, telephone charges, laundry and all items of personal nature. Frequency/Tour Date: From New Delhi at 06:45 hours by Dehradun Shatbdi Express 12425(Friday & Saturday). Availbility: 10 Berths in CC. Package rates are subject to availability. Final confirmation of the package will be provided one week prior to the departure. 100% refund will be made on cancellation of the package by IRCTC. Since you shall be travelling in a group, it is required that you take care of the needs and comforts of each other, adhere to schedules and do not indulge in discord with fellow passengers. The guests are advised to carry their prescription medicines, if they are taking any, in enough quantity so that it lasts for the whole duration of tour. IRCTC reserves the right to change/modify or terminate the Tour Programme any time at its own discretion and without any prior notice. In case of delay or cancellation of trains due to bad weather or unforeseen circumstances, IRCTC will not be held responsible for refund or compensation of kind (including curtailment of trip). Although we shall make all efforts to adhere to the itinerary, the same may have to be altered for various reasons, including, but not limited to - bad weather, ill health of co-passengers, roadblocks, heavy rush, vehicle breakdown etc. Under such circumstances, the itinerary may have to be curtailed/modified, accommodation altered etc. The passengers will have to bear the cost incidental to any such change in the itinerary / stay, on account of or any such factors beyond our control. IRCTC will not be liable to pay for any of these. No drinking, smoking or gambling is allowed during the tour. 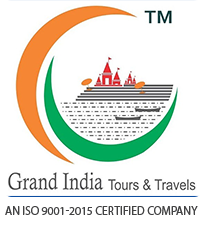 IRCTC reserves the right to expel any members of the tour group for any such activity/conduct of the guest, which IRCTC feels is hindering smooth conduct of the tour. It is mandatory to carry an identity proof. The valid Photo ID Card are Aadhaar, Voter id card, Passport, Driving License, PAN Card, Credit Cards with Photo, Cards issued by Central/State Government and Student ID cards with photo issued by School/College for their students.